Business world became a competitive environment that incorporates new and elaborate solutions to meet the changing requirements of customers and overcome cultural differences. Usually, e-Сommerce is considered as buying/selling activities accomplished by means of electronic software. Yet everything far more complicated. Nowadays almost 90% of buyers search for desired product or service online. These processes generate a vast amount of data difficult to handle and analyze. As a result, it becomes a huge challenge to manage website on a daily basis. 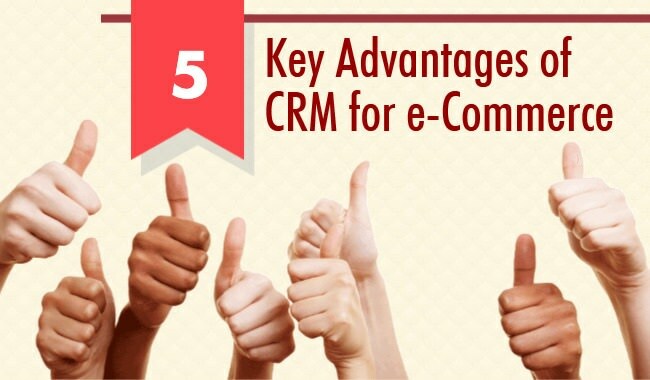 But the evolution of technology provides business owners with the ability to use CRM for e-Commerce and facilitate everyday tasks, as well as offer unrivalled buying experience. Online retailing uses email communication to establish and elevate relationships with prospects and customers. We can view e-Commerce as a client-oriented strategy that applies various tools to handle the multiple processes. But the key to efficient website management is knowing your customers and complying with their expectations to the quality of product and speed of service. Integration of a CRM software into the running of customer relationships will improve your store performance. The insights into clients’ information and its analysis are the powerful leverage for the allocation of the necessary and relevant data for traffic improvement, optimization of the conversion levels and boosting your sales. Besides, knowing your targeted audience and identification of your best performing products will increase the response to marketing campaigns. With CRM, you will take the advantage of bird-eye view of all business processes on a single dashboard. So, CRM will help you to cut the costs, as well as enhance the cumbersome and heavy-manual day-to-day tasks with the automation. 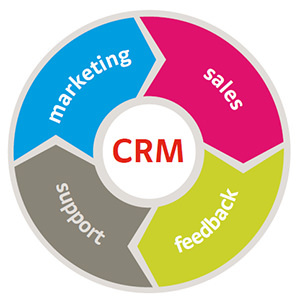 Due to CRM software, you can have a deep insight into customer’s needs. You have the enter, store and access to the user’s activities and personal details across the company. Communication and buying histories with the up-to-date records will serve marketing and support managers, as well as boost the efficiency of sales reps performance. Moreover, social media access enables you with tracking the current interests of your buyers. Earlier sales managers were focused on the transactions and wasted a lot of time on tracking buyer’s activities and sending follow-ups. With CRM, you may automate the follow-up and email sending out. Apart from different content, you can schedule the time boundaries. For instance, customer has bought a laptop and your sales rep may plan a newsletter to this client with a proposal of different accessories for his or her purchase. Another example is setting up the alerts about customers who leave the site without any actions. You may send them a discount coupon or special offer. There is no need to spend time on the search for the required contact or document. CRM enables a comprehensive data arrangement and linking of data according to the relations between the different types of records. Measuring the effectiveness of processes in the company has a vital influence on further objectives and budget planning. CRM software enables you with a set of customizable reporting options that show the successful and ineffective actions. These records give the ground for ROI and revenue levels, as well as emphasize the areas that require improvement. The additional features of CRM will help you to provide your buyers with an accurate and, what is utmost important, secure hosting. You will be able to detect and preempt the fraudulent transactions, as well as easy checkout process. As a rule, customers have a common urgent question - ‘Where is my order?’. Your clients will be pleased with the intuitive order status, and comprehensive history look up. Moreover, you can track and send special offers to your lost customers who left your shop on the storefront. The online retail is a competitive area and buyers demands for quality service and personalization spur business owners to look for innovations and effective solutions. With CRM integration, your employees will provide your customers with unrivalled experience of outstanding service and relevant offers that encourage them to return again and again. Being a Marketing Manager at Data2CRM migration service, Natalie Khomyk is always attentive to the innovations of this area. She does her best at providing the unbiased view on CRM and data management, as well as aim to make my posts useful.